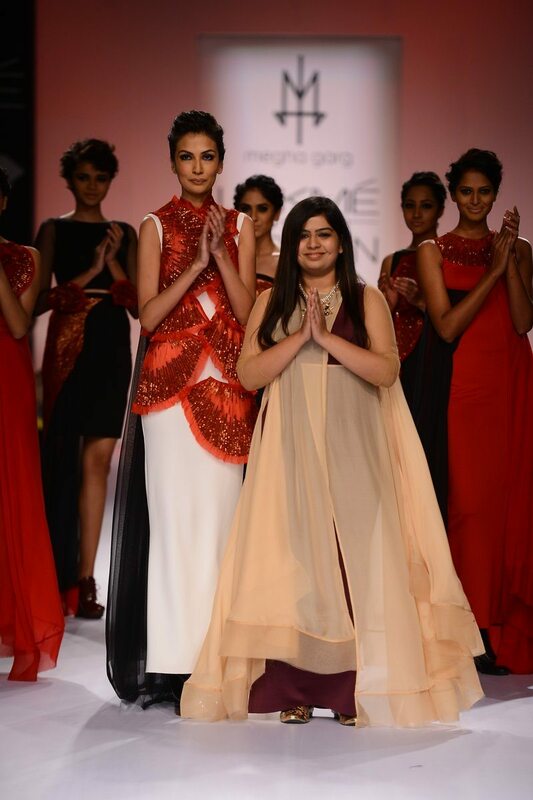 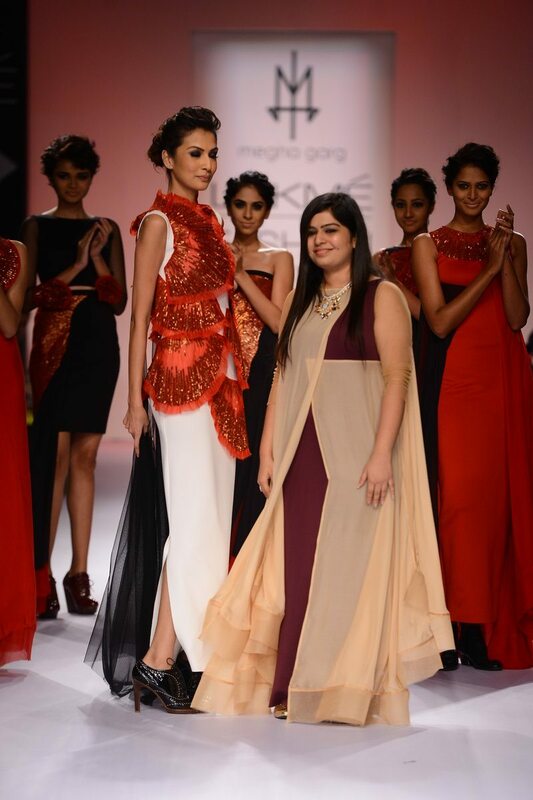 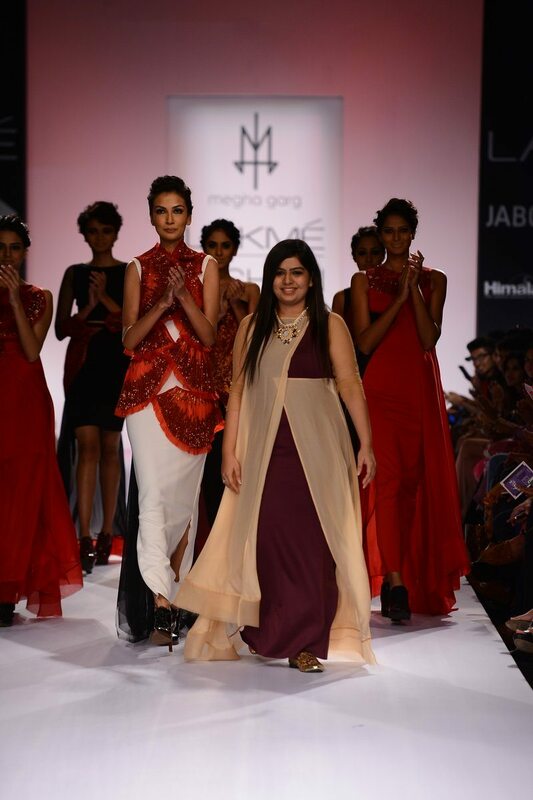 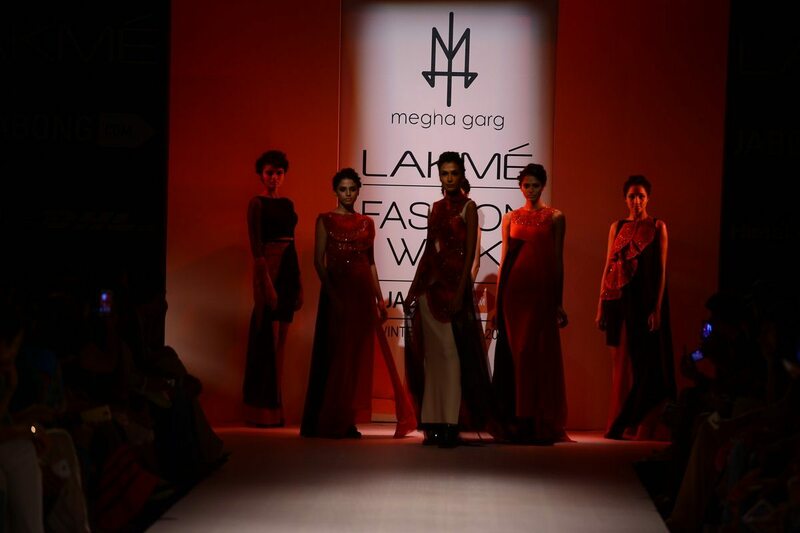 Designer Megha Garg showcases her collection ‘Warrior of Soul’ at LFW 2014. 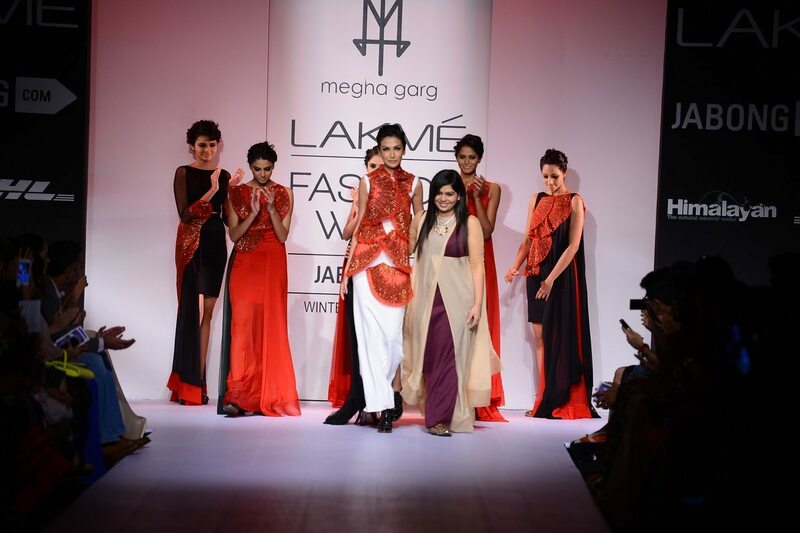 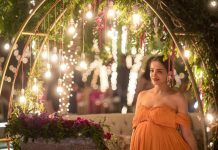 Indian designer Megha Garg showcased her collection ‘Warrior of Soul’ on the final day of Lakme Fashion Week Winter/Festive 2014 on August 24, 2014. 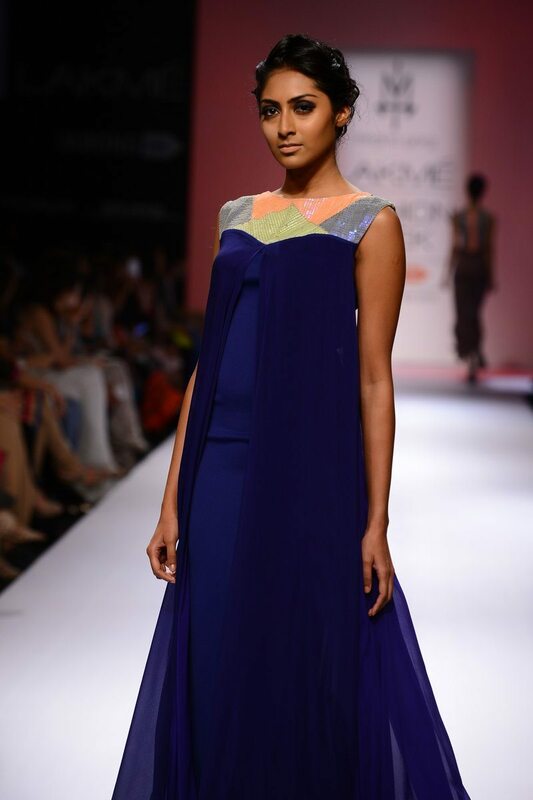 The garments utilized soft colors and subtle designs. 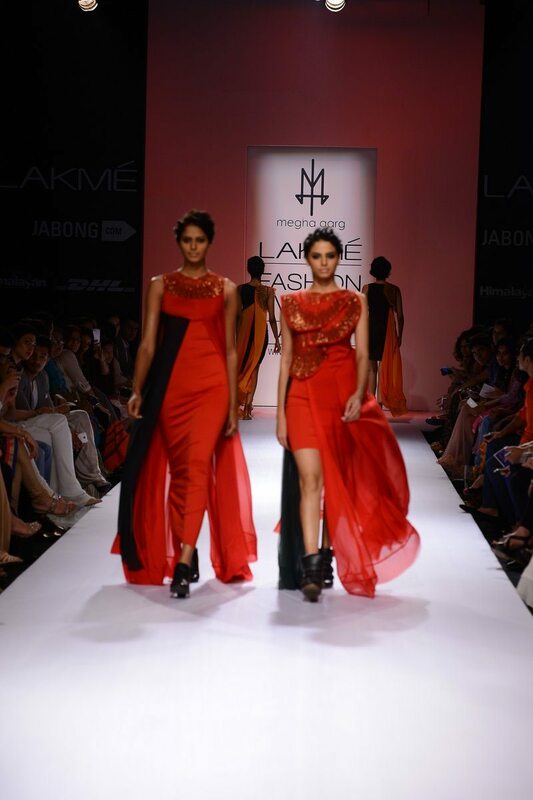 Leggy models sashayed down the ramp in flowing chiffon dresses. 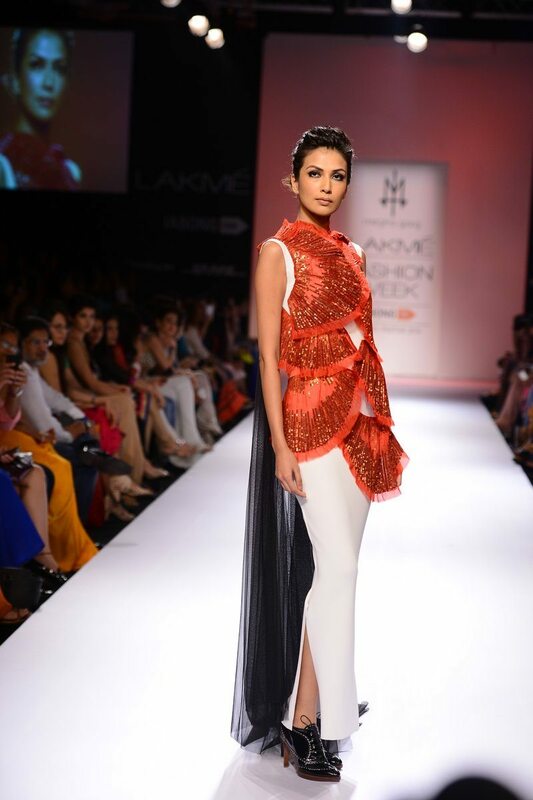 Garg’s previous collections ‘Krishna’ (Krishna’ means ‘all-attractive’) – which made her popular amongst the fashion circuit – drew inspiration from the mythical Hindu god Krishna’s personality.